We’ve all sat in those presentations. A speaker with a stream of slides full of text, monotonously reading them off as we read along. We’re so used to it we expect it. We accept it. We even consider it ‘learning’. As an educator I push against ‘death by PowerPoint’ and I'm fascinated with how we can improve the way we present and teach. The fact is we know that PowerPoint kills. Most often the only victims are our audience’s inspiration and interest. This, however, is the story of a PowerPoint slide that actually helped kill seven people. January 16th 2003. 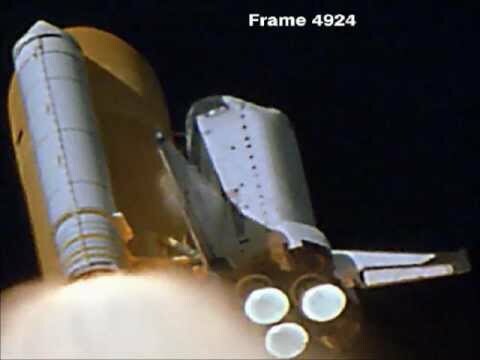 NASA Mission STS-107 is underway. The Space Shuttle Columbia launches carrying its crew of seven to low orbit. 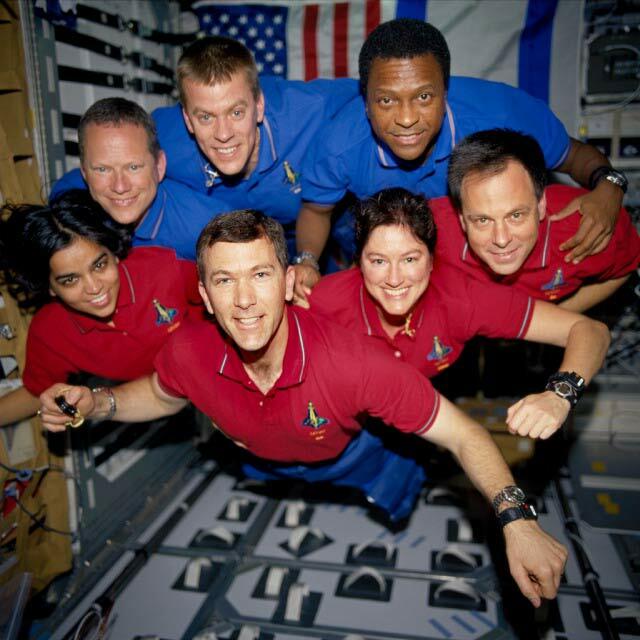 Their objective was to study the effects of microgravity on the human body and on ants and spiders they had with them. Columbia had been the first Space Shuttle, first launched in 1981 and had been on 27 missions prior to this one. Whereas other shuttle crews had focused on work to the Hubble Space Telescope or to the International Space Station this mission was one of pure scientific research. The launch proceeded as normal. The crew settled into their mission. They would spend 16 days in orbit, completing 80 experiments. One day into their mission it was clear to those back on Earth that something had gone wrong. As a matter of protocol NASA staff reviewed footage from an external camera mounted to the fuel tank. At eighty-two seconds into the launch a piece of spray on foam insulation (SOFI) fell from one of the ramps that attached the shuttle to its external fuel tank. As the crew rose at 28,968 kilometres per hour the piece of foam collided with one of the tiles on the outer edge of the shuttle’s left wing. It was impossible to tell from Earth how much damage this foam, falling nine times faster than a fired bullet, would have caused when it collided with the wing. Foam falling during launch was nothing new. It had happened on four previous missions and was one of the reasons why the camera was there in the first place. But the tile the foam had struck was on the edge of the wing designed to protect the shuttle from the heat of Earth’s atmosphere during launch and re-entry. In space the shuttle was safe but NASA didn’t know how it would respond to re-entry. There were a number of options. The astronauts could perform a spacewalk and visually inspect the hull. NASA could launch another Space Shuttle to pick the crew up. Or they could risk re-entry. NASA managers listened to the engineers and their PowerPoint. The engineers felt they had communicated the potential risks. NASA felt the engineers didn’t know what would happen but that all data pointed to there not being enough damage to put the lives of the crew in danger. They rejected the other options and pushed ahead with Columbia re-entering Earth’s atmosphere as normal. Columbia was scheduled to land at 0916 (EST) on February 1st 2003. Just before 0900, 61,170 metres above Dallas at 18 times the speed of sound, temperature readings on the shuttle’s left wing were abnormally high and then were lost. Tyre pressures on the left side were soon lost as was communication with the crew. At 0912, as Columbia should have been approaching the runway, ground control heard reports from residents near Dallas that the shuttle had been seen disintegrating. Columbia was lost and with it her crew of seven. The oldest crew member was 48. The shuttle programme was on lock down, grounded for two years as the investigation began. The cause of the accident became clear: a hole in a tile on the left wing caused by the foam let the wing dangerously overheat until the shuttle disintegrated. The questions to answer included a very simple one: Why, given that the foam strike had occurred at a force massively out of test conditions had NASA proceeded with re-entry? Edward Tufte, a Professor at Yale University and expert in communication reviewed the slideshow the Boeing engineers had given NASA, in particular the above slide. His findings were tragically profound. 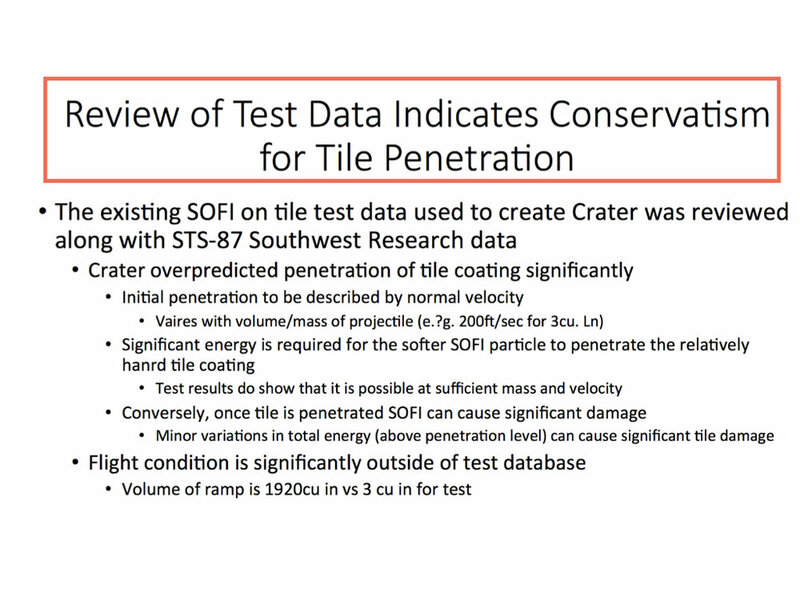 Firstly, the slide had a misleadingly reassuring title claiming that test data pointed to the tile being able to withstand the foam strike. This was not the case but the presence of the title, centred in the largest font makes this seem the salient, summary point of this slide. This helped Boeing’s message be lost almost immediately. Secondly, the slide contains four different bullet points with no explanation of what they mean. This means that interpretation is left up to the reader. Is number 1 the main bullet point? Do the bullet points become less important or more? It’s not helped that there’s a change in font sizes as well. In all with bullet points and indents six levels of hierarchy were created. This allowed NASA managers to imply a hierarchy of importance in their head: the writing lower down and in smaller font was ignored. Actually, this had been where the contradictory (and most important) information was placed. Thirdly, there is a huge amount of text, more than 100 words or figures on one screen. Two words, ‘SOFI’ and ‘ramp’ both mean the same thing: the foam. Vague terms are used. Sufficient is used once, significant or significantly, five times with little or no quantifiable data. As a result this left a lot open to audience interpretation. How much is significant? Is it statistical significance you mean or something else? Finally the single most important fact, that the foam strike had occurred at forces massively out of test conditions, is hidden at the very bottom. Twelve little words which the audience would have had to wade through more than 100 to get to. If they even managed to keep reading to that point. In the middle it does say that it is possible for the foam to damage the tile. This is in the smallest font, lost.